Earlier this month, Memory Lane Cafe was presented with their Quality For Health award after successfully completing Foundation Level. Memory Lane Cafe is run by June and Chris Harvey and supported by a team of volunteers. 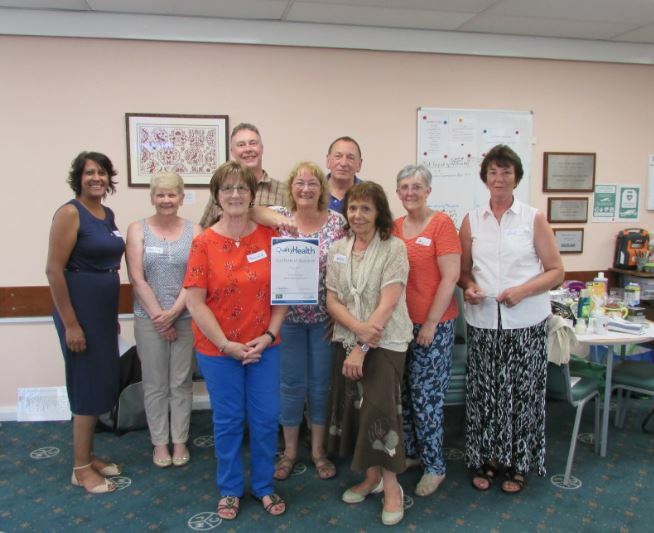 The group was set up to support those living with dementia, other forms of memory loss or isolation in Sowerby Bridge, Halifax and the surrounding areas. The cafes are open in Sowerby Bridge (2nd & 4th Saturday of each month between 1:30pm and 4:00pm in St. Paul’s Methodist Church) and in Halifax (1st & 3rd Wednesday of each month between 2:00pm and 4:00pm in Maurice Jagger Centre).